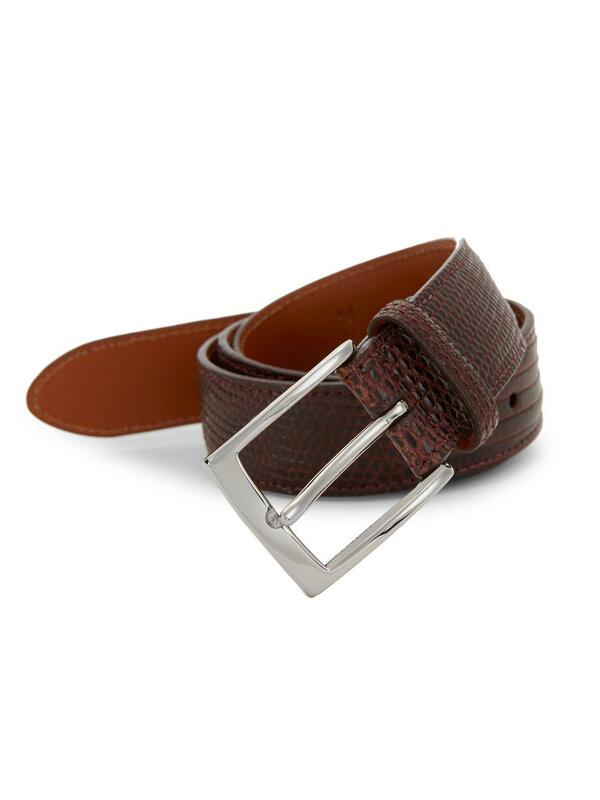 Sumptuous lizard shapes this stylish belt centered by a silvertone buckle. 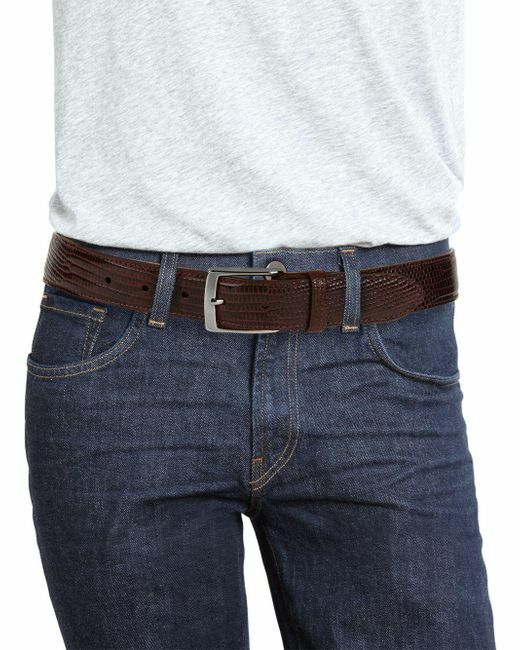 Metal buckle. 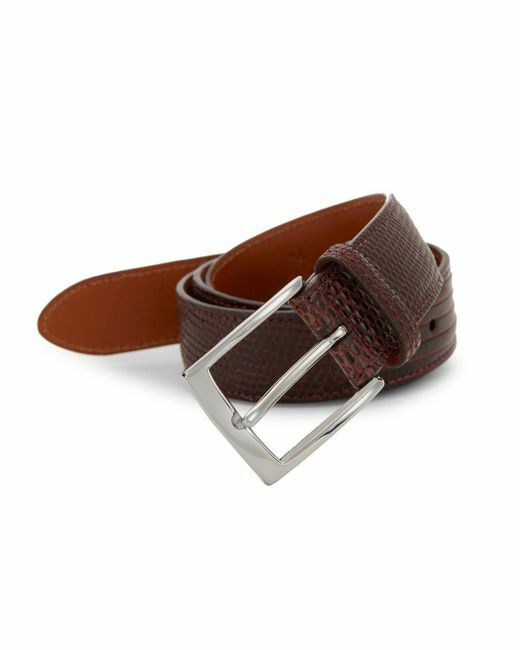 Genuine lizard Leather. Made in USA. SIZE. Width, about 1.25".